One year from now, some 90,000 ships making up the world’s merchant fleet face new rules that will reduce sulphur emissions by around 80%. The benefits to human health and the environment will be significant and in delivering them, shipowners face one of the largest industry disruptions. 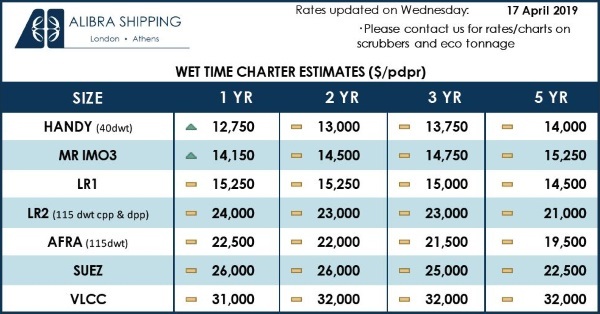 Shipping’s global sulphur cap is increasingly becoming the key topic in the industry. 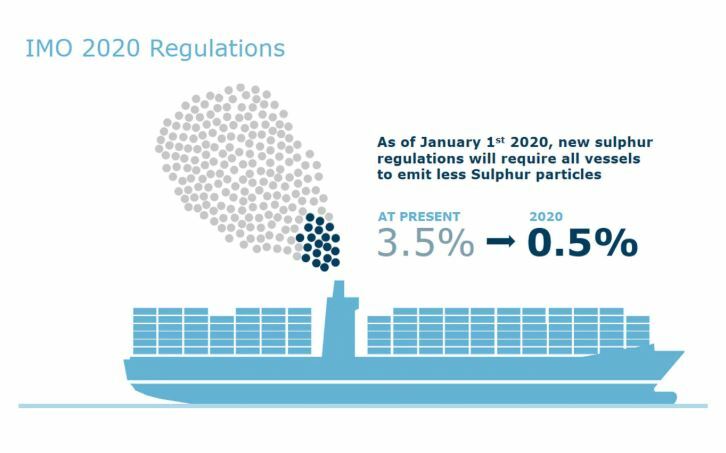 In reducing sulphur emissions, shipowners not only face steep increases in operating costs, but also tough challenges in getting ready to comply. Effectively, on 1 January 2020, a fuel switch of a magnitude never seen before will build momentum across the world’s oceans, as the vast majority of the world’s fleet of merchant vessels switch to low-sulphur fuel. At Maersk, preparations are well underway and ranging from ensuring compliance across its fleet of around 750 vessels to assisting thousands of customers in handling their supply chains in the new circumstances. “This new regulation contributes significantly to making our industry more sustainable in the future as it will bring substantial improvements to human health in coastal areas,” says Søren Toft, Chief Operating Officer of Maersk. “Ensuring compliance is a substantial task for any shipowner as it is associated with significant cost. The entire industry must prepare well for this change, he adds. Maersk believes that strong enforcement of the rules is important to ensure a level playing field in this changed industry environment. The regulation was developed and adopted by the International Maritime Organisation (IMO), a specialised agency under the United Nations. Whereas today, ships can use fuel with a sulphur content of 3.5%, the new cap will be 0.5%. Expectedly, it will cut shipping’s sulphur emissions with more than 80%, significantly limiting respiratory disease and acid rain harming crops and forests in coastal areas across the world. To comply, shipowners will have to invest significantly in more expensive compliant fuels, such as LNG technology or scrubbers, a complex technology filtering sulphur particles out of the vessels’ engine exhaust gas. Industry estimates suggest extra costs of up to 15 billion USD for the global container vessel fleet alone to buy the more expensive low sulphur fuel. Maersk expects the vast majority of its vessels to use compliant fuels at the onset of the new regulation. “At Maersk, the extra fuel costs could add up to more than USD 2 billion per year. We have already initiated dialogue with our customers about how this will impact their supply chains. We have revised our fuel adjustment surcharge towards a simpler, more fair and predictable mechanism that ensures clarity for our customers in planning ahead for 2020,” explains Vincent Clerc, Chief Commercial Officer, A.P. Moller – Maersk. The changed fuel surcharge mechanism can be applied to both the 3.5% fuels of today and the compliant 0.5% fuels of 2020. It will be implemented on January 1, 2019, so customers have time to familiarise with the mechanism ahead of the big switch and the temporary volatility it is likely to cause for global shipping. 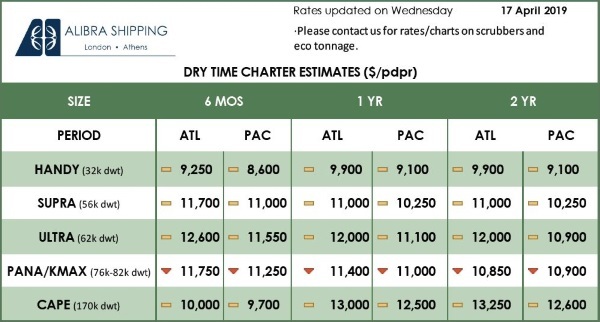 “Within weeks, the supply/demand balance for global shipping’s USD 100+ billion fuel market will turn upside down as low sulphur become the fuel of choice for the entire fleet. How will these dynamics impact pricing and availability of the fuels of today and tomorrow?” asks Niels Henrik Lindegaard, Head of Maersk Oil Trading.